2012 Redux: Wine Snobs, Unite! Here in Champagne, one often says that champagne is first and foremost a wine. However the characteristics of this wine change significantly with the adding of the dosage (a mixture of base wine and cane sugar) at the time of disgorging. Today’s most popular Champagne style is brut—which often contains 6 to 12 grams of sugar per liter. This is done by adding the dosage to balance its high natural acidity and to make the wine a little prettier and easier to drink. There are different champagne styles depending on the amount of sugar added in the dosage, but the one that has caught my attention is the zero dosage, where no sugar is added after the second fermentation. A zero dosage champagne is referred to by some winemakers as “a champagne without make up.” It is where we get to truly taste the wine. I wanted to find out if making this “naked champagne” requires a different mindset, including different blending and aging practices, so I spoke to four recognized zero dosage producers: Ayala, Tarlant, Pierre Gimonnet and Paul Goerg. All four agree that the base wine (i.e., still wine which is bottled before the second fermentation) needs to be of impeccable quality and that a longer aging period will benefit a zero dosage wine. Yet these producers each have a different approach to the wine making process. 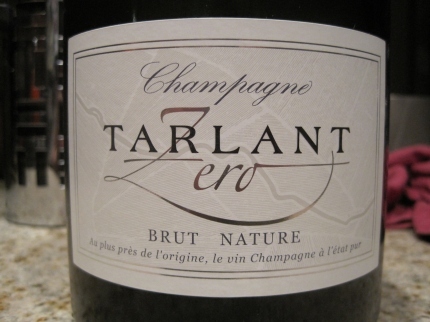 I will start off with Tarlant, a champagne growing family, as they are one of the zero dosage pioneers. Jean-Mary Tarlant released his first champagne without dosage towards the end of the 1970s—when a customer and friend asked him to make some, after tasting a freshly disgorged bottle. By the time his son Benoit started as winemaker in 1998, Zero Dosage was well established at 25% of the production. Today 80% of their production is Zero Dosage and the Zero NV is their flagship wine. At Tarlant, all vineyards are vinified separately before being carefully blended together with 20% to 30% reserve wine, aged in oak barrels, to create a unique base wine. Once bottled, the wines spend a minimum of four years on the lees before they are disgorged and brought to market. In the last 10 years Tarlant has also added a Rosé to their portfolio. Champagne house Ayala has always produced “drier” champagnes. In 1865, not long after Edmond de Ayala had launched the brand, he won over the British market by making a Champagne with 22g/l of sugar. This was quite revolutionary as most Champagnes in those days had 2 to 5 times this. When Ayala was taken over by Bollinger, their new president Hervé Augustin decided to revive the brand by accentuating its traditional dry approach to champagne making. 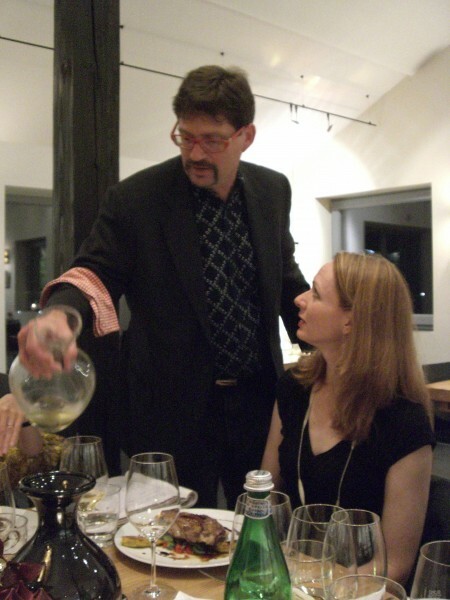 He took a gamble on a zero dosage wine, Ayala Brut Nature, which he launched at Vinexpo in 2005. The press and trade fell in love and Ayala immediately acquired the image of the “House of the Zero Dosage.” Originally the wine was the same as the Ayala’s Brut Majeur but without dosage. Today Ayala still uses the same base wine for both cuvées but the Brut Zero remains a further 12 months on the lees. In the last few years it has expanded its zero dosage assortment and has added the Cuvée Rosé Nature and the Cuvée Perle d’Ayala Nature—this last wine being their top Cuvée. Hervé believes that we are currently only scratching the surface of the zero dosage phenomenon; he’s convinced that in a generation’s time up to 20% of all Champagnes will have no added sugar. 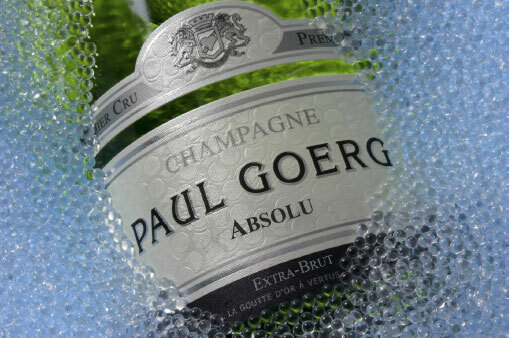 Paul Goerg is the Champagne brand of a cooperative in Vertus that produces a small amount of Cuvée Absolu Extra Brut made from 100% Chardonnay. The base wine, which contains 40% reserve wines, is the same as for its Blanc de Blancs. But the Cuvée Absolu remains a further 12 months on the lees which brings the minimum aging up to 4 years. Paul Goerg has also been experimenting with a zero dosage rosé following the same wine-making philosophy as the blanc de blancs, but no wine has been released yet. Whilst the previous producers are all expanding their zero dosage offerings, Premier Cru producer Pierre Gimonnet et Fils continues to make only a small amount of Zero Dosage Champagne. Gimonnet further differs from the other three as it produces a vintage zero dosage champagne. It was, however, another one of the pioneers as its first release was in 1985—of the 1979 vintage. The base wine for the Cuvée Oenophile Extra Brut is the same as either the Cuvée Fleuron or Cuvée Gastronome and the wines are disgorged after the same amount of aging (minimum five years). Gimonnet has vineyards in five different Côtes des Blancs villages and Didier Gimonnet believes that it is the blending of the chardonnay from these different terroirs that allows him to make vintage zero dosage champagne. The zero dosage champagnes of all four producers are elegant, fresh and linear with a very clean finish. They leave you salivating and impatient for your next sip. I feel Hervé Augustin may be right in his growth predictions for this particular style as these wines are very pure, yet versatile. I invite you to explore this true taste of Champagne on your own. Caroline Henry is a Certified Sommelier living and specializing in Champagne. 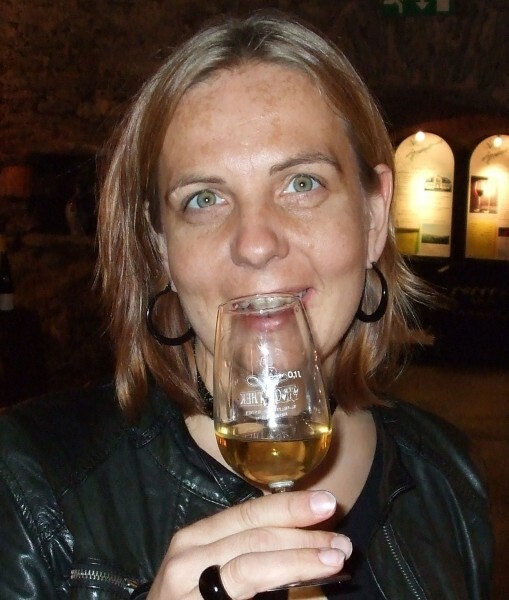 Her blog missinwine focuses mainly on organic, biodynamic and terroir wines of the champagne region. 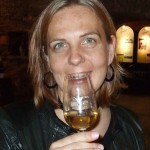 In September 2015 she will release the first book written solely on terroir champagne (more details on terroirchampagne.com). Great piece on the Brut Nature. They do deserve to be focussed on and are definetely wines where quality cannot be compromised. From a market point of view we have been seeing more and more interest in that category both from retailers and consumers. Through Brut Nature, Champagne distinguishes itself even more from other sparkling wines by showing its true colors. Let’s raise a second flute to that ! As the pendulum swings, so do the days of our wines. Have to find that niche! Really interesting and informative piece. In my ‘simple’ ‘natural wine’ mind, I’m always search for non dosage, single vintage, single vineyard. To me that is Champagne as wine. Thank you Arnold! There are so many exciting wines here in Champagne now. The younger generation of vignerons and some independent houses are looking at the teroir and investing in Champagnes which are an expression of this terroir. However to make these wines in a marginal climate is not always obvious, especially in the cases of Champagne Houses who normally would like a little more volume, as the vineyards here are pretty tiny. These Champagne wines are amazing with food (oyster for instance) and extraordinary with Bordier french seaweed butter !